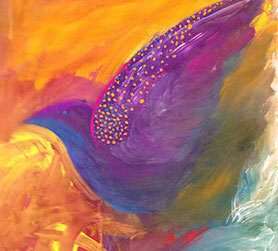 Process painting, soul painting, source painting... these are all names for the expressive arts practice of intuitive painting. In this form of intuitive art you will not be learning the techniques of painting, but what you will gain goes much deeper than that. In opening to this painting process you learn how to deal more effectively and courageously with your inner critic, to move through the obstacles of emptiness, fear and boredom and to heal those secret places inside that have armored themselves against their longing for expression. Painting in this way can transform not only your relationship to creative blocks around artistic expression but also transform those attitudes and habits that keep you from meeting with imagination and courage the challenges of your daily life. 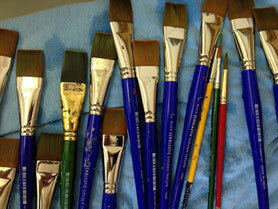 These classes are appropriate for all levels of painting experience. People come who have never picked up a brush and who have told themselves "I'm not creative" or "I can't paint," only to find their inner painter alive and well. Experienced artists with years of training can also benefit from this approach when they find themselves mired in a creative block or have lost their passion for painting. 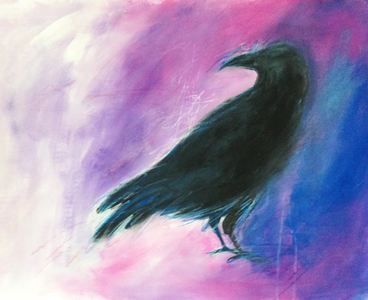 Painted Crow Expressive Arts provides you with an environment of encouragement that awakens your artist's soul and challenges you to become a spiritual adventurer, journeying to your own creative source. 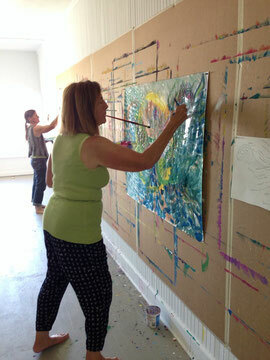 To learn more about classes and workshops at Painted Crow, visit here.